WW2 Aircraft Carriers, Model Ships. The USS Lexington CV16 is an improved version of the old aircraft carrier fleet. Giving more power and firepower the USS Lexington CV-16 is still another step in the development of Aircraft Carrier Technology. El USS Lexington CV16 es una versin mejorada de la flota de portaaviones de edad. Dar ms poder de fuego y el USS Lexington CV-16 es otro paso ms en el desarrollo de la tecnologa de portaaviones. USS Lexington CV-16, 2 Guerra Mundial los portaaviones, buques de modelo. USS Lexington CV-16 Model Ship section. of the Model Ships, Aircraft Carrier Department. USS Lexington CV-16, Aircraft Carrier models, books, videos, DVD movies and Naval Art Prints and Posters. The USS Lexington CV-16 Aircraft Carrier Models, books, DVD movies and art all show the continuous growth of naval warfare technology. The USS Lexington CV-16 is an improved version of older aircraft carriers which is faster, better handling and more capable than anything built before it in the US Navy. The legendary Essex-class carrier USS Lexington (CV-16), the "Blue Ghost," this 1/700 scale plastic kit - which can be built in a waterline or full hull configuration - features finely molded superstructure parts; transparent flight and hangar decks that reveal interior details; optional-position hull-side doors and flight deck elevators; precision-tooled whip antennas; photo-etched detail parts; SB2C Helldivers, F6F Hellcats and TBF Avengers; a bonus tug boat; a display stand; and more. 15" long; assembly required. Click Here are two stories that were sent to me. It is very, very important that you read both stories and you will learn a secret about the USS Lexington and a secret about Becoming a Man. Many years ago, Al Capone virtually owned Chicago. Capone wasn't famous for anything heroic He was notorious for enmeshing the windy city in everything from bootlegged booze and prostitution to murder. Eddie lived the high life of the Chicago mob and gave little consideration to the atrocity that went on around him. Eddie did have one soft spot, however. He had a son that he loved dearly. Eddie saw to it that his young son had clothes, cars, and a good education. Nothing was withheld. was no object. Within the year, Easy Eddie's life ended in a blaze of gunfire on a lonely Chicago Street. But in his eyes, he had given his son the greatest gift he had to offer, at the greatest he could ever pay. Police removed from his pockets a rosary, a crucifix, a religious medallion, and a poem clipped from a magazine. The American fighters were gone on a sortie, and the fleet was all but defenseless. He couldn't reach his squadron and bring them back in time to save the fleet nor could he warn the fleet of the approaching danger. There was only one thing to do. He must somehow divert them from the fleet. Laying aside all thoughts of personal safety, he dove into the formation of Japanese planes. Wing-mounted 50 calibers blazed as he charged in, attacking one surprised enemy plane and then another. Butch wove in and out of the now broken formation and fired at as many planes as possible until all his ammunition was finally spent. This took place on February 20, 1942, and for that action Butch became the Navy's first Ace of W.W.II, and the first Naval Aviator to win the Congressional Medal of Honor. 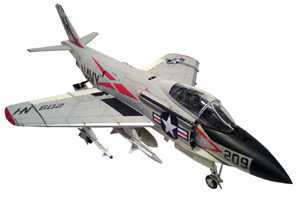 F3H-2N Demon Display Model. In 1956 and '57, future astronaut Wally Schirra flew a McDonnell F3H-2N Demon - a swept-wing, carrier-based jet fighter that was the forerunner to the F-4 Phantom - as Operations Officer of VF-124 onboard the carrier USS Lexington in the Pacific. This is the F3H Demon that was accepted into VF-124 service by Schirra (who was chosen as one of the original seven Project Mercury astronauts and became the fifth American man in space when he piloted the Mercury-Atlas 8 spaceship in 1962). United States Navy ( USN ) McDonnell F3H-2NDemon aircraft ( BuNo - 133550 ) assigned to Fighter Squadron 151 ( VF-151 ) "Vigilantes" on the flight deck of aircraft carrier USS Coral Sea (CVA-43) during the ship's Operational Readiness Inspection (ORI) off Hawaii, 18 December 1961. The F3H was developed by McDonnell and the Navy to close the performance gap between carrier and land-based aircraft. When it was first rolled out in early 1951 the sleek, swept-wing aircraft looked unlike anything then in service. The story of its successes and of its nagging problems. Designed as a replacement for the U.S. Navy's F2H Banshee, the McDonnell F3H Demon served with the fleet for the decade that included the Cuban Missile Crisis. F3H-2 Demon - a single-seat, subsonic, carrier-based jet interceptor that served the U.S. Navy from 1956 until 1964. McDonnell F3H Demon - a swept-wing, carrier-based jet fighter that was the forerunner to the F-4 Phantom - flown by the U.S. Navy's VF-21 "Freelancers" when they were stationed on the USS Midway (CV-41) in 1959.
the F3H Demon, a carrier-based, all-weather jet interceptor fighter, of which more than 500 were produced. Advanced features included swept-back wings, adjustable horizontal stabilizers, leading edge wing slats and more. 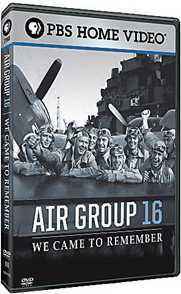 Through archival footage and first-person accounts, this program tells the story of Air Group 16 and its pilots, radiomen and gunners who served on the aircraft carrier USS Lexington (CV-16), the "Blue Ghost," in World War II's Pacific Theater. You'll even meet the men and their families as they journey to Washington, D.C., for the dedication of the National World War II Memorial in 2004. Widescreen, color and B&W, 30 minutes. In 1956 and '57, future astronaut Wally Schirra flew a McDonnell F3H-2N Demon - a swept-wing, carrier-based jet fighter that was the forerunner to the F-4 Phantom - as Operations Officer of VF-124 onboard the carrier USS Lexington in the Pacific. Weeks before Midway, during the Battle of the Coral Sea, the TBD Devastator made its mark when the first Japanese carrier sunk during the War, the Shoho, was attacked by both torpedo bombers and dive bombers from the USS Lexington. It was the fifth United States Naval ship to be named "Lexington." The USS Lexington (CV-16), also known as "The Blue Ghost", was laid down as Cabot 15 July 1941 by Bethlehem Steel Company in Quincy, Mass., renamed Lexington 16 June 1942, she was launched on 23rd of September 1942. After Caribbean shakedown and yard work at Boston, the USS Lexington sailed for Pacific action thourgh the Panama Canal, arriving Pearl Harbor on 9 August 1943. She raided Tarawa in late September and Wake in October, then returned Pearl Harbor to prepare for the Gilbert Islands operation. From 19 to 24 November she made searches and flew sorties in the Marshall Islands and covering the landings in the Gilbert Islands. Her pilots downed 29 enemy aircraft on the 23rd and 24th of November. After the war, the USS Lexington was decommissioned at Bremerton, Washington on the 23rd of April 1947 and then entered the Reserve Fleet. Designated attack carrier CVA-16 on 1 October 1952, she began conversion and modernization in Puget Sound Naval Shipyard 1 September 1953, receiving a new angled flight deck. Into 1969, the USS Lexington has operated out of her home port of Pensacola Florida as well as Corpus Christi Texan and New Orleans, qualifying student pilots and maintaining the high state of training of both active duty and reserve naval aviators. Her work has been of increasing significance as she has prepared the men vital to the continuing Navy and Marine Corps operations over Vietnam, where naval aviation played a major role. The USS Lexington marked her 200,000th arrested landing 17 October 1967, and was redesignated CVT-16 on 1 January 1969. She continued as a training carrier for the next 22 years until decommissioned 8 November 1991. On 15 June 1992, the ship was donated as a museum and now operates as such in Corpus Christi, Texas. There she has an IMAX theatre. The USS Lexington has been designated a National Historic Landmark. The USS Lexington received the Presidential Unit Citation and 11 battle stars for World War II service. 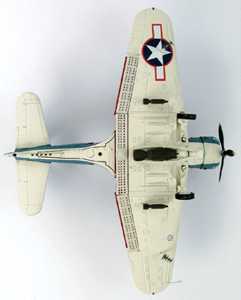 The Dauntless dive-bombers were flown by VB-16 when they were stationed on the USS Lexington (CV-16) during the Gilbert Islands campaign of November, 1943.